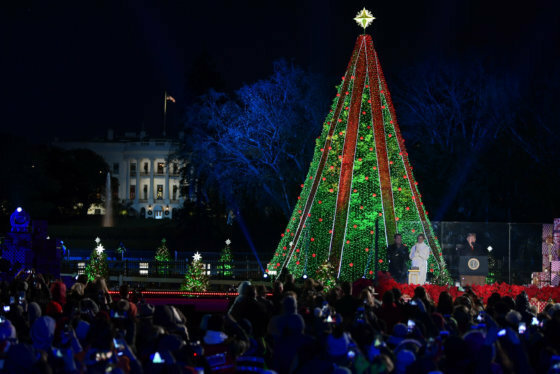 President Donald Trump led a countdown for the lighting of the National Christmas Tree. The sights and sounds of the season made their grand appearance Wednesday evening with the lighting of the National Christmas Tree. Here are some of the sights from the ceremony.